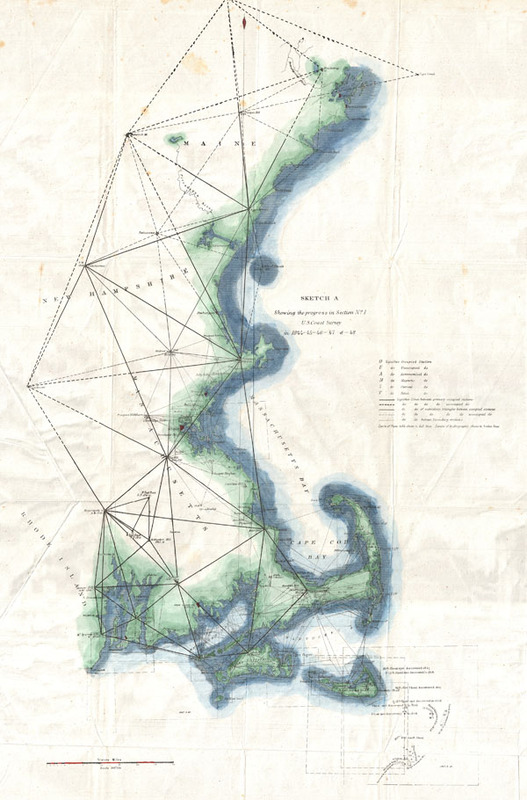 A unusual triangulation chart of the New England coast line from the scarce 1848 edition of the Superintendent's Report. Covers from Nantucket and Marthas Vineyard north past Cape Code and Boston as far as Portland, Maine. Shows various triangulation point and some of the attached river systems. Includes some of the shoals discovered around Nantucket in the 1840s. The 1848 edition of the Superintendent's Report is highly unusual in that its maps do not have borders, was common in all subsequent editions.